This 90 minutes treatment uses the synergy created when two people and four hands work together. 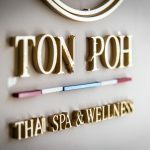 This treatment combines Thai massage techniques with aromatherapy massage. It begins with a Thai Herbal Hot Compress Ball placed along the strong muscle lines to improve the body’s functions and promote self-healing. 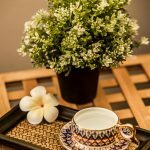 Then, a hot oil massage with special blended oil stretches the muscles to reopen the body’s energy pathways, enhance circulation, increase energy levels and promote overall health and well being This treatment produces more than double results and you will feel like a King by the end of this massage. Thai, Swedish and aromatherapy massage are combined in this 90 minute treatment to make a woman feel like a queen. 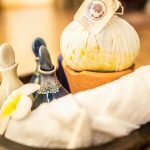 It begins with a Thai Herbal Hot Compress Ball placed along the muscles Lines to improve the body’s functions and promote self-healing. 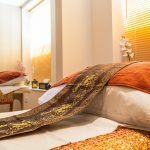 Then, a hot oil massage with special blended oil infused with gold flakes stretches the muscles to reopen the body’s energy pathways, enhance circulation, increase energy levels and promote overall health and wellbeing.